On arrival at Cochin Airport or Ernakulam Railway Station, transfer to Munnar (140 kms/4 hrs). En route enjoy beautiful streams, small waterfalls, rubber, pepper, cardamom and tea plantations and thick forests. On arrival at Munnar, check into hotel for overnight stay. In the morning, check out of the hotel and depart for Kumarakom (Approx: 200 kms / 5 hrs). En route visit the rubber and tea plantations. Arrive at Kumarakom and visit the Kumarakom Bird Sanctuary (famous for migratory and local birds). Later, check into hotel. 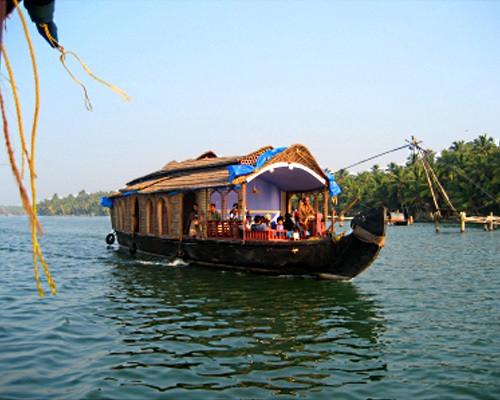 In the evening, enjoy a sunset cruise (optional) or relax near the Venbanad Lake. Stay overnight at Kumarakom. 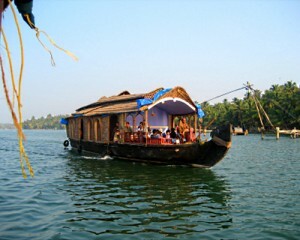 If you have not decided yet or wants to customize tour itinerary or hotels listed above in "Travelocity 6 Nights Kerala Beaches & Backwaters Tour Package Rs.15775/-", then we can change the travel itinerary and make a personalized, tailor-made holiday package, especially for you. We can modify this travel package as per your itinerary, budget, duration and the tourist places you would like to visit, including transportation and airfare should be included or not. Please fill the form below to contact us. I would like to full information about the Tour including Air Fair. I want to make my honeymoon trip memorable.